Well the time has come...I go back to work tomorrow for some professional development. We have more workshops on Tuesday and Wednesday. The kids come for a half day on Thursday. I have to admit that I am kind of nervous. I am going into my 7th year but I am always a nervous wreck. 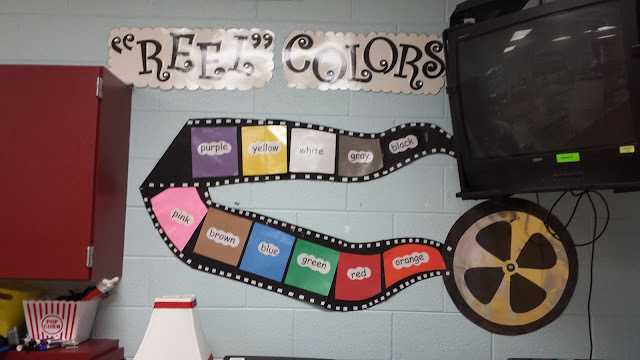 I got some more updates on my classroom. 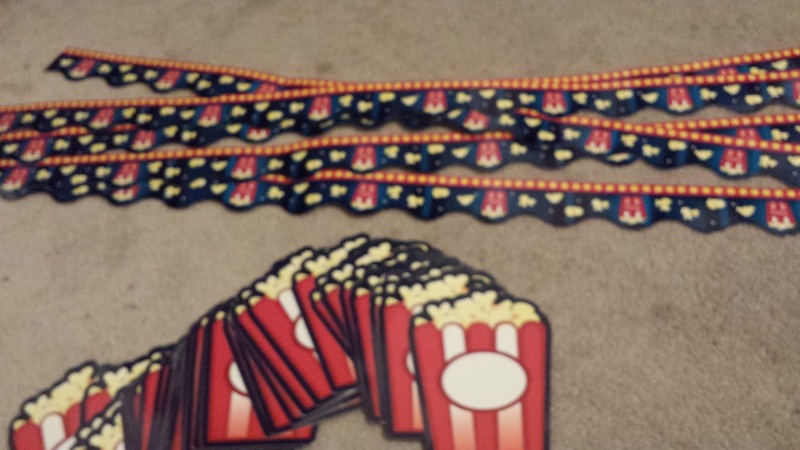 I am still doing a Hollywood/Movie/Popcorn theme. 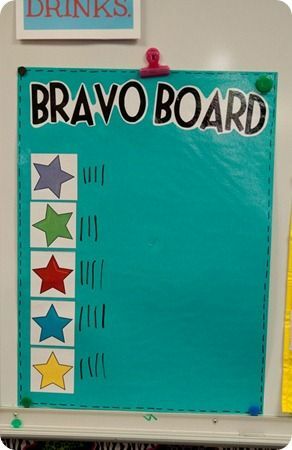 I made a Bravo board like one that I saw on Pinterest. 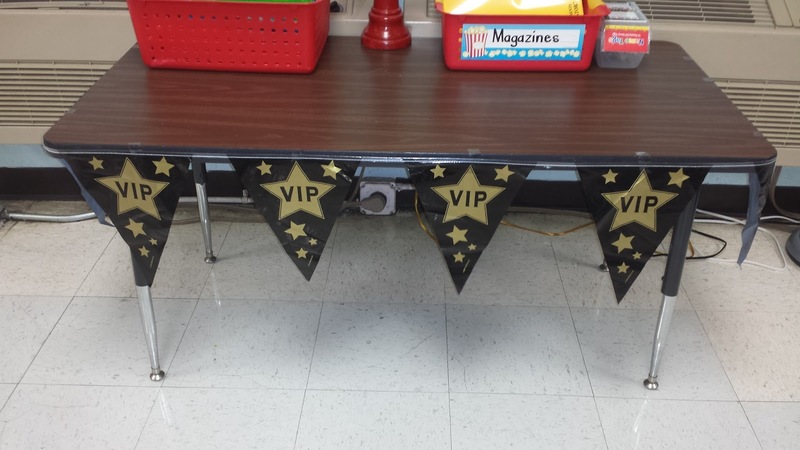 It is a good way to keep up with table behaviors. I will have five tables. They will be named by colors-blue, red, yellow, purple, and green. You keep tallies for each group and at the end of the week the table with the most will get a treat. 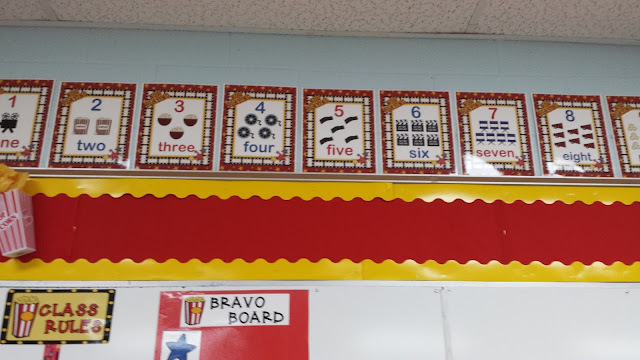 I love how it will help them learn tallies! I had this pennant banner last year but could not think of a way to use it. I found a way. Around my tables of course! 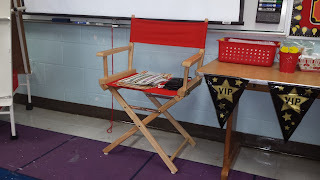 I also bought this directors chair from Target. 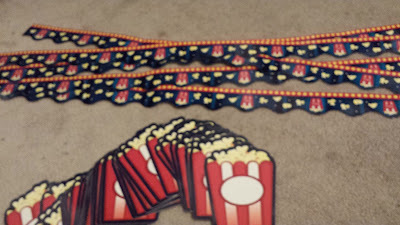 I typed these and printed and put them on movie ribbon! I will use this poster to put up spelling words each week. I finally printed out my Hollywood number posters. I love them! I got these adorable hooks from Oriental Trading! 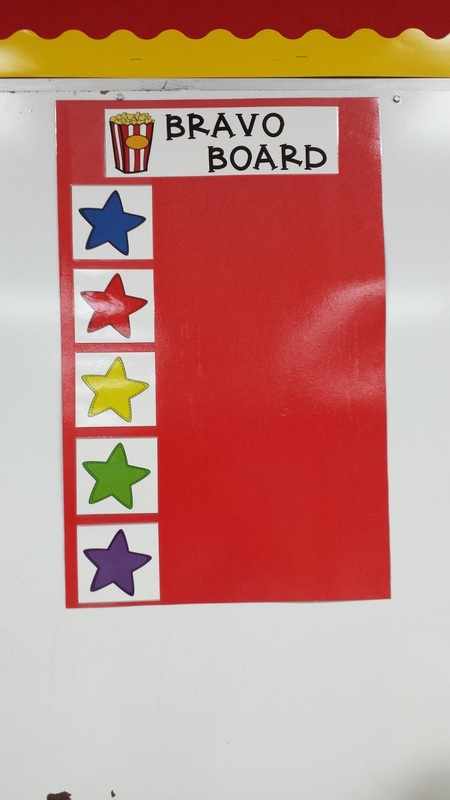 This printer paper came from Scholastic and I will use this as the cover page for their daily folders. I finally got this laminated and cut. I will put it up tomorrow. 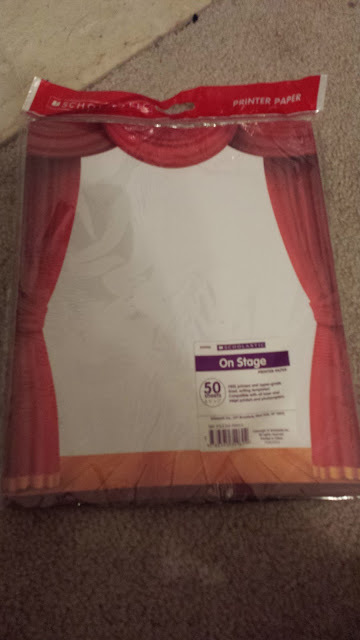 I got this from Joann Craft Store. 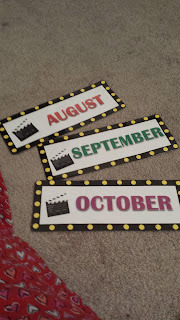 My Months of the Year Cards for Calendar Math. 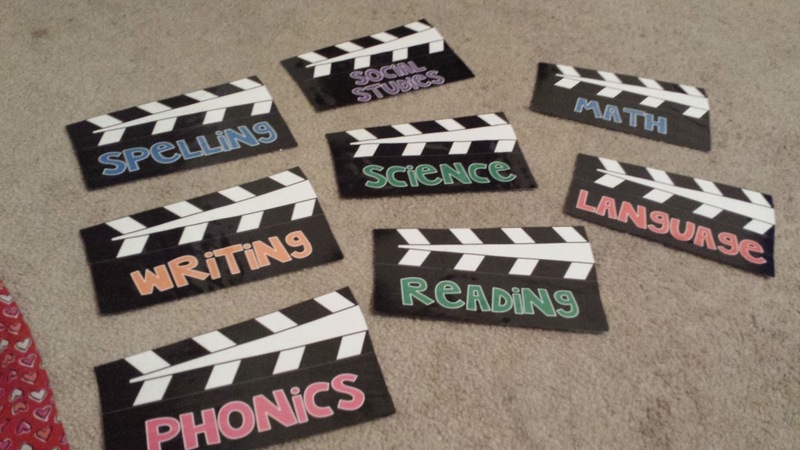 Subject Labels for Focus Wall that I made. Okay that is it for now but there is still more to come. 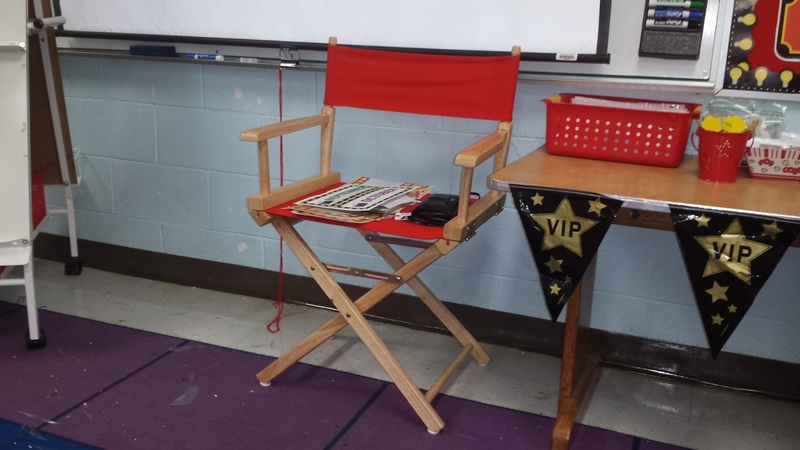 You can check out more of my Hollywood room by clicking the Hollywood label on my blog. I cant wait to put final pictures up. I have a long way to go. Hurry, Mrs. Reed, Hurry.....I'm trying I'm Trying lol. 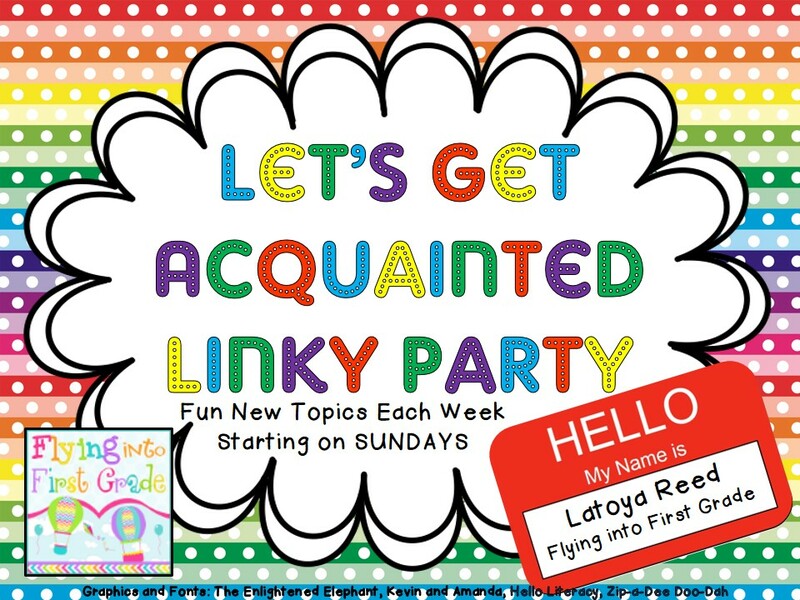 Ok I have bored you enough.....It's LINKY TIME.....LET'S GET ACQUAINTED!!!!! Share your goals for the school year. In May we can look back and see if we actually made some happen!!! 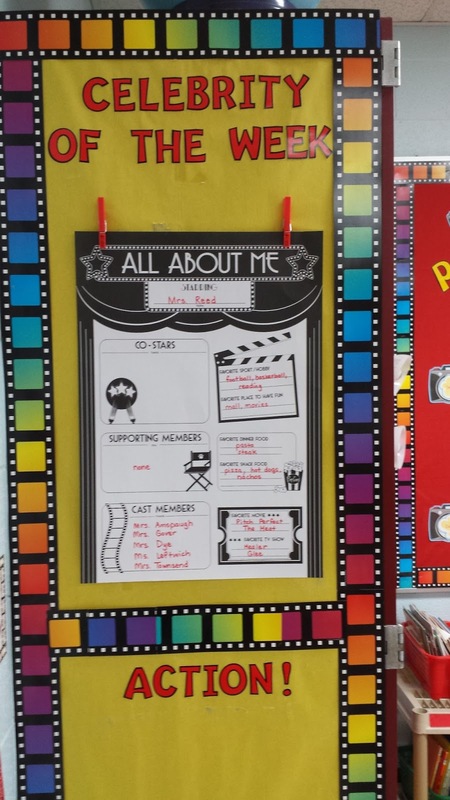 Be a Great Leader- I haven't really held any leadership roles at my school. I am going to be the team leader for the first grade team this year. I am very excited to be the team leader and be on the leadership team. My goal is to be a great leader for my team. 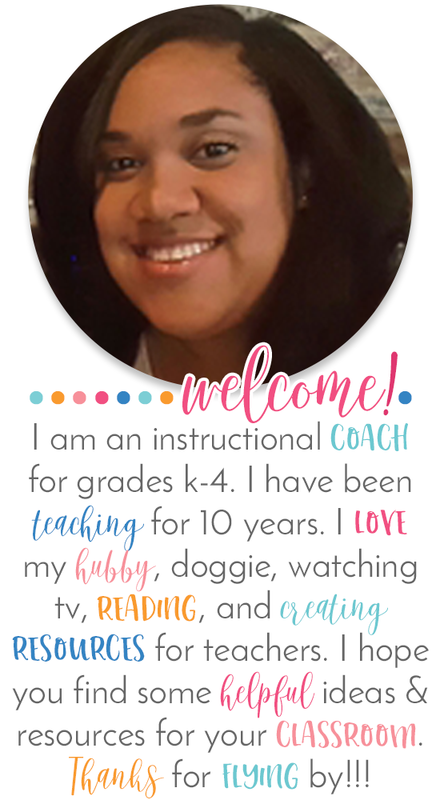 We have two brand new teachers on the team and I want to be able to give them help to make it through the year. I also will include in this goal to speak out more and not be sooooo quiet. I am a very quiet person and as a leader I will have to come out of my shell. I know I can do it. 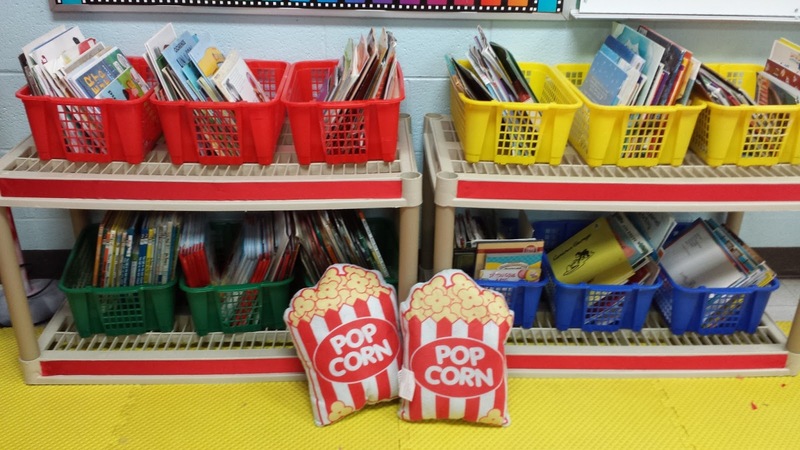 Be an Organized Teacher- My name is Latoya Reed and sometimes I am junky....We will be having meetings in my room all year and I want it to look nice and in order. It is so easy for me to come in and throw things on a table. And then the pile grows and grows and GROWS...OMG I have got to do better this year. Be Ahead of the Game- I really need to plan for the next week the week before. No more planning on Sunday night. I really want to have plans done by Friday for the next week. That means each day I need to do a little bit and then on Friday I can prepare materials. I think this is my most important goal. 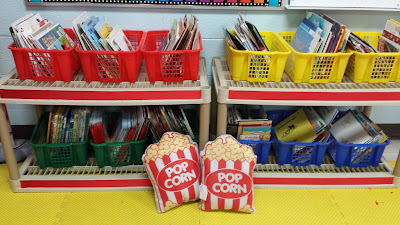 Be More Hands On- I want the kids to have a great time in my room learning. I really want to do more exciting hooks for lessons and think outside the box. 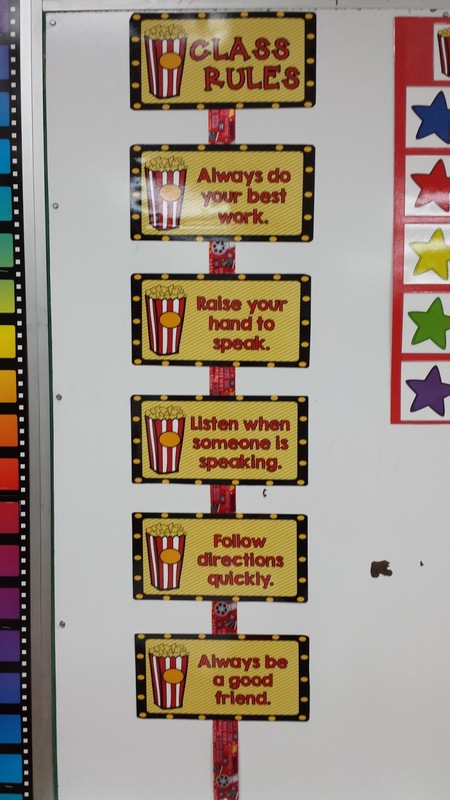 I do a good job of this but there are times when the students are looking at me and I know they are saying SHUT UP lol. It's true! They will be doing lots of talking with their groups and partners instead of listening to me. 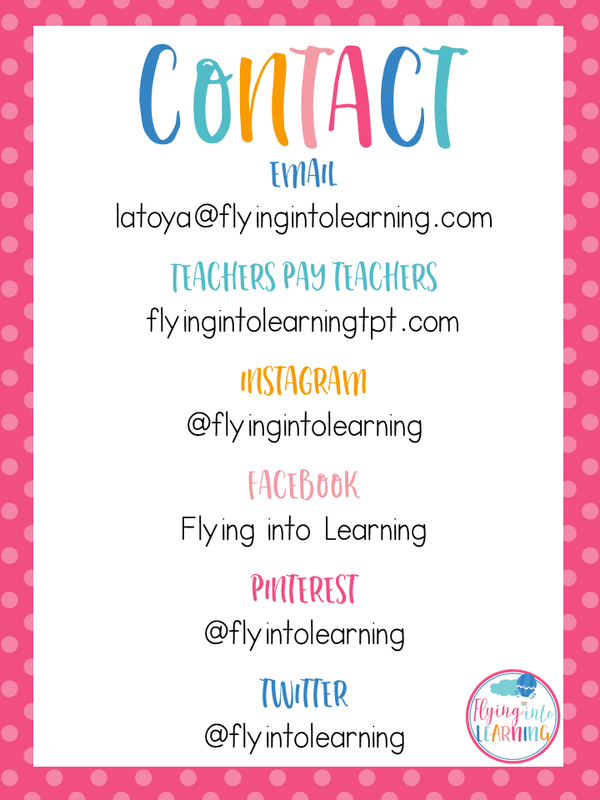 Now it is your turn to link up your goals for the new school year!!! Don't forget to visit some friends in the linky and feel free to link up all week!!! Make sure you use the linky graphic and link it back to my blog so others can link up!!! Have a great SUNDAY!!! 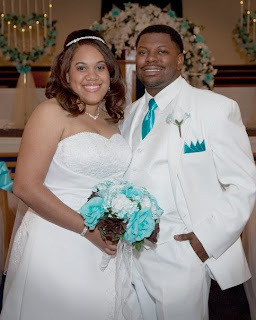 I am celebrating my 4 year wedding anniversary today! Yay me! 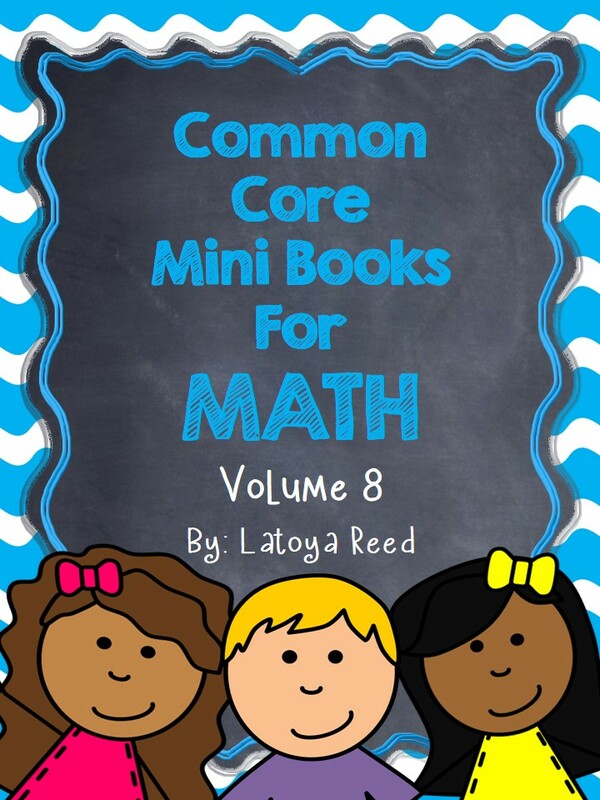 I was finally able to make 6 more Common Core Math Mini Book packets. I now have them bundled in my TPT store. I have put them on sale and will keep them on sale for back to school. 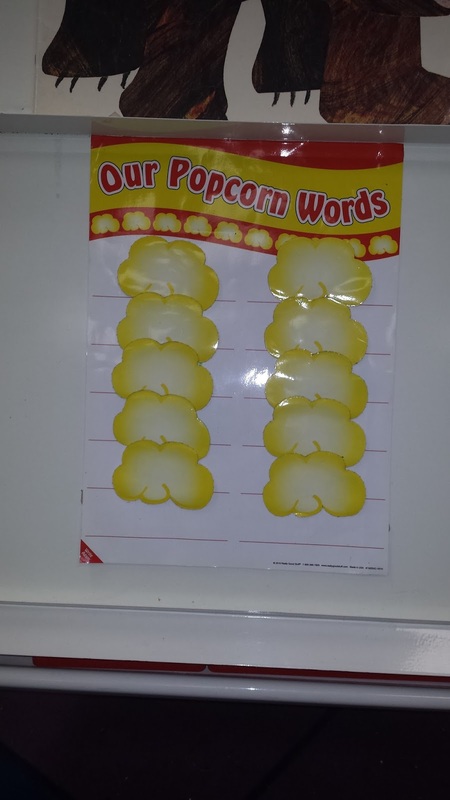 I will be using these each week with my students. 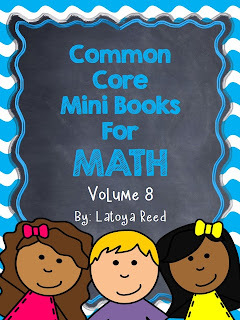 They are a great review of Common Core Math Standards. It includes 50 mini books. 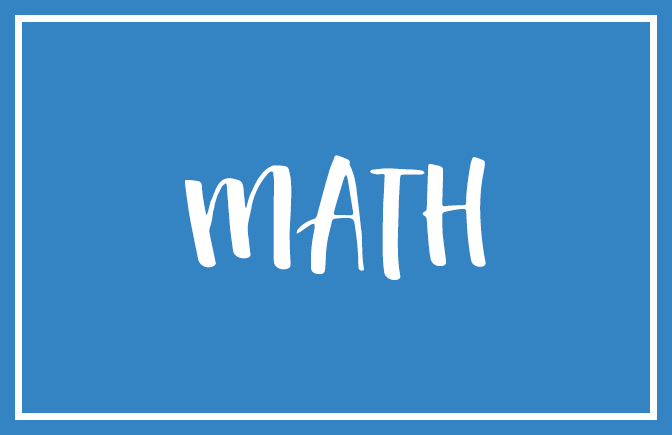 The standards are in the corner of each problem. You can get Volume 8 free here! I do enjoy setting up my room though. 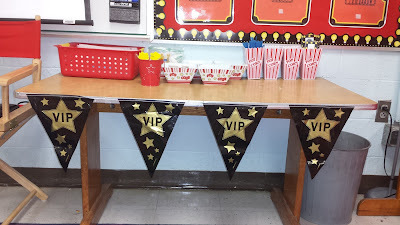 I am adding some new things to go with my décor from last year. I took a few pictures today. 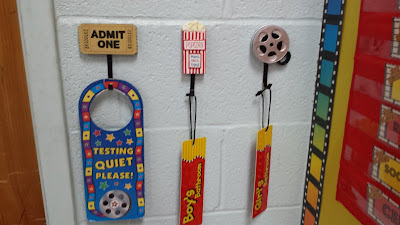 These are some new aspects of my Hollywood/Movie themed classroom. I used this theme last year but I wanted to come up with some more ideas to make it even better. I am enjoying what I see so far. 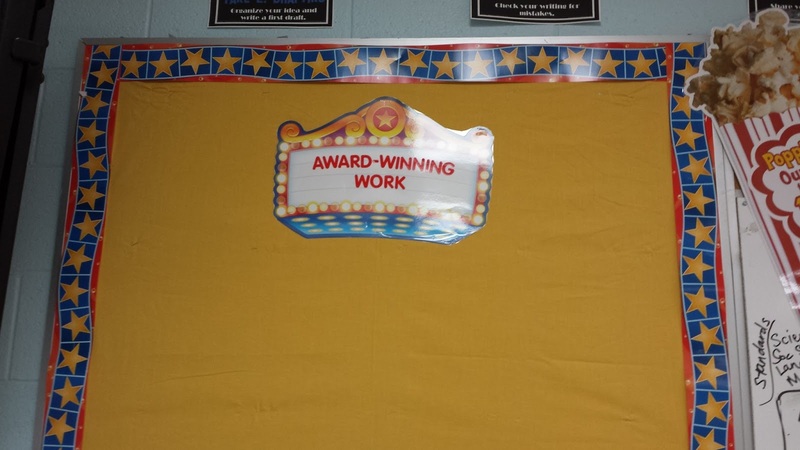 I cannot take credit for this display. Can you believe this was in my bucket of Hollywood themed goodies I bought off of Craigslist? I really hit the jackpot. 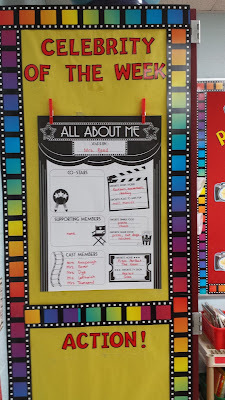 This teacher had so much neat stuff to add to everything I already had. I love how the color display turned out. 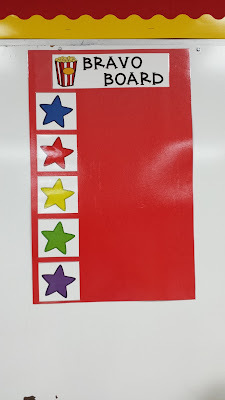 I gave a new teacher my color cats that I had from years ago. Thanks to my daddy I have a newly painted red bookshelf. I lovvvvvvvvvvveeee it!!! It really makes a difference. 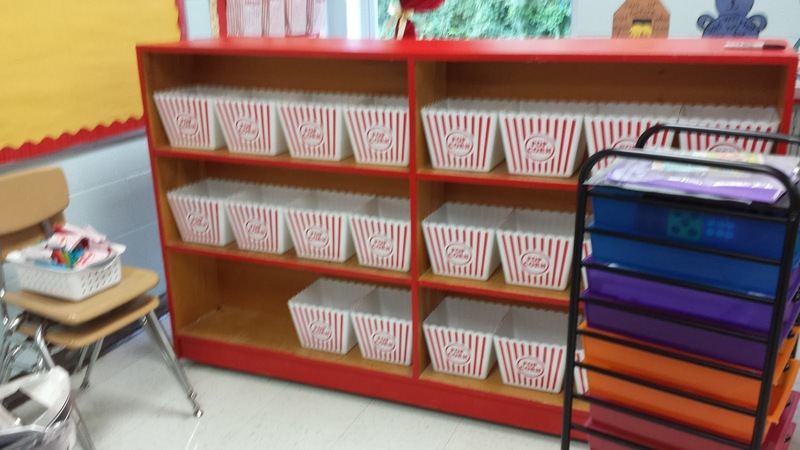 I got the popcorn buckets from Dollar Tree. My craigslist pal gave me a ton of them as well. I will use this board to display work on the inside of the classroom. I bought these pillows from Oriental Trading. I am in the process of finding some chairs to put them in. I want the chairs so the students can get comfy. Any ideas of where I can get some chairs???? 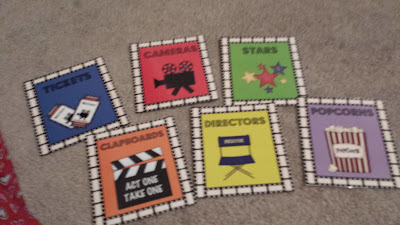 I bought these All About Me movie themed posters from Joann Craft Store. I love them! I did the first one on myself. I got new ones. 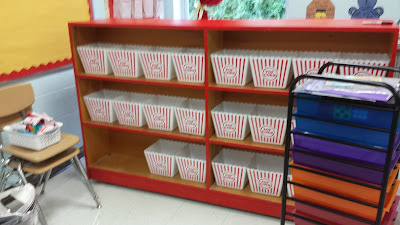 Last year I used popcorn buckets. 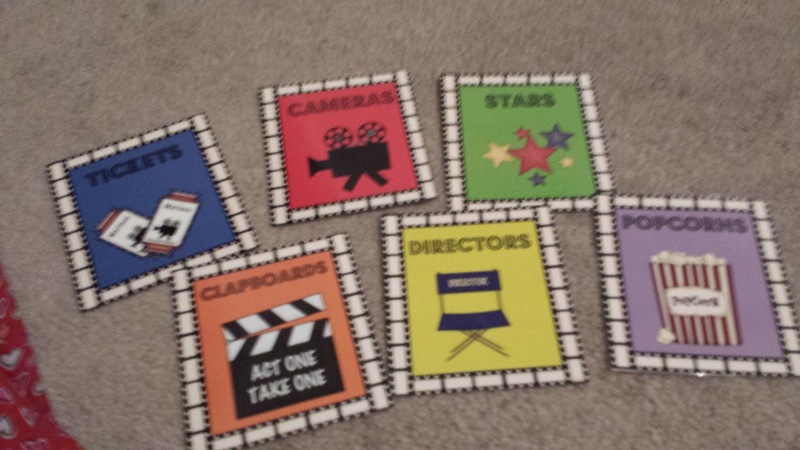 I got these new clapboards from my favorite store. The Dollar Tree. I made these signs myself! Yay me! 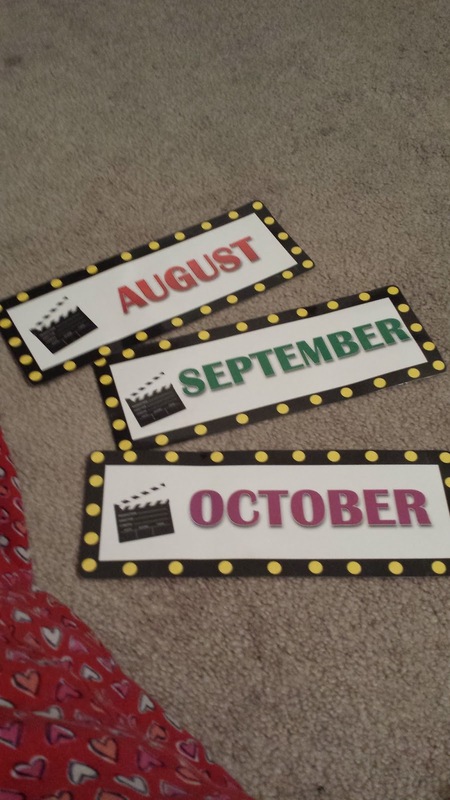 I found the movie themed ribbon from Hobby Lobby. I had to get it! 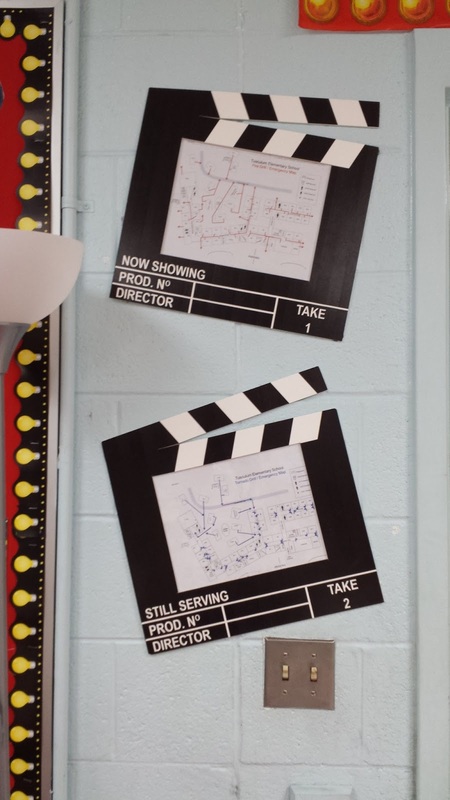 I got these giant clapboards from my craigslist pal too. 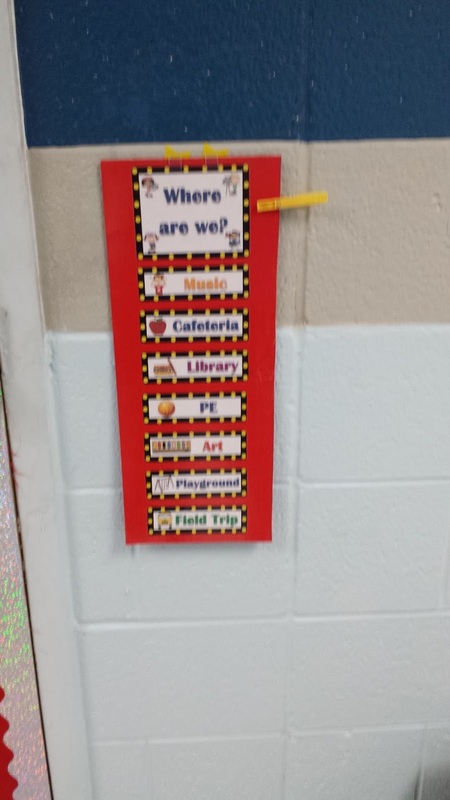 I decided to put our school maps in them because they have to be displayed by the door. Luv it!!! I hope you love these new additions to my room as much as I do!!! Be on the look out for more to come. I have a lot to do. Wish me luck! and now a Flash Giveaway that will end tonight!!! I cannot believe I only have 1 week left before I go back to school. Im still in shock. How much time do you have left? Anyways.... It is that time again. 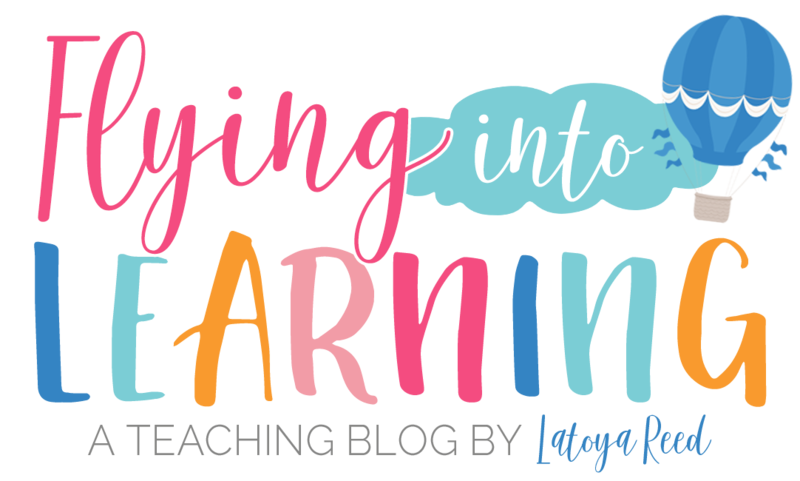 It is time to get acquainted with fellow teacher bloggers. This week we will share great advice for the new teachers out there. I was in there shoes six years ago and I still remember it like it was yesterday. Fill out this template and explain your template. You can copy and paste this into MS word or PowerPoint and use textboxes to complete. 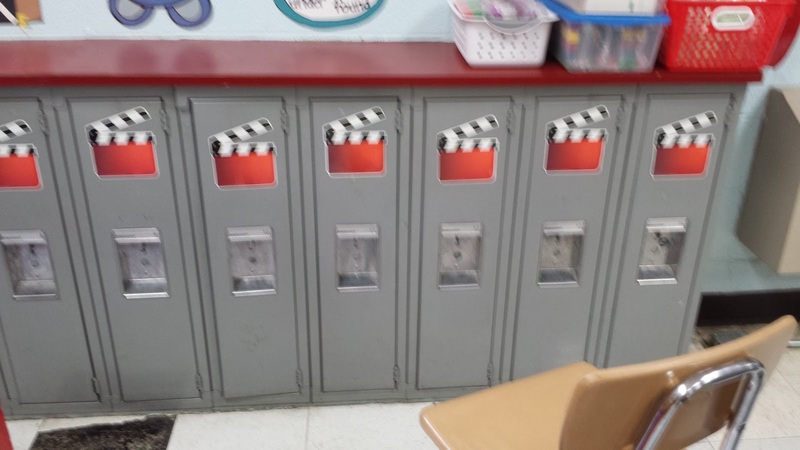 I love love LOVE my set of classroom mailboxes. 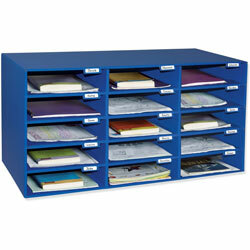 The students put their daily folders in their mail slot at the beginning of each day. I put their handouts and grades in their as well. Make sure to prepare ahead of time. it only makes your life easier. I try to gather up all of my materials for the next day before I leave school each day. I also type plans for the next week during my planning hour. This helps to keep me from planning during the weekend and getting behind. It is so important to be on time. You most definitely should get to work on time! 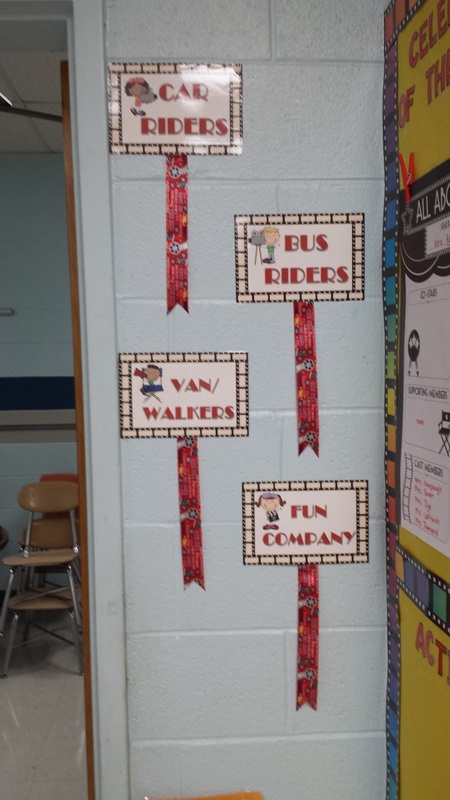 But there is also being on time to drop kids off to specials or being on time to pick kids up from lunch. Everyone works on a schedule and if one person doesn't follow, it can throw off everyone. I would suggest giving an extra five minutes for everything just to make sure you are on time. You will get judged as a new teacher. In other words "People talk". You do not want the rep for being tardy all of the time. I would suggest finding a teacher mentor at your school. It is important to have a person that you can go to for help and to get answers from. I can remember asking so many questions. 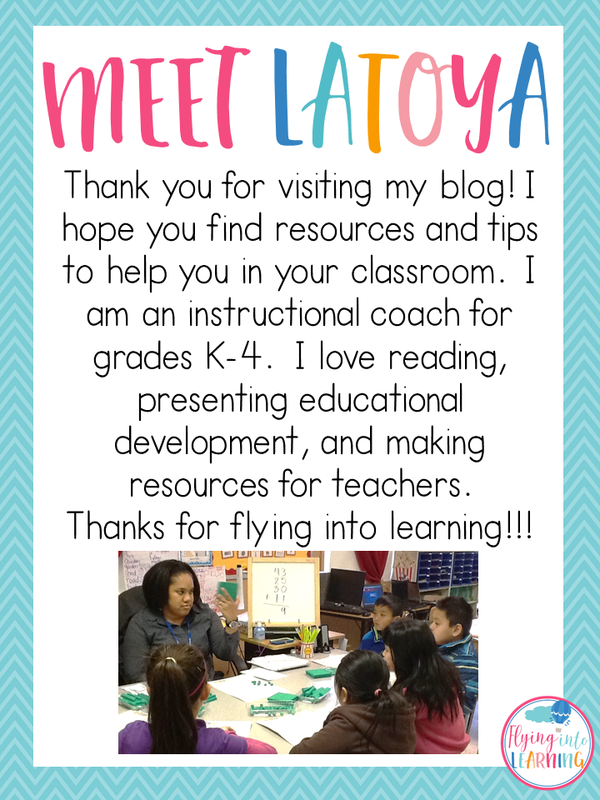 I had a mentor teacher that was able to help me out a lot. I would find a buddy that is on my team, a new teacher buddy, and just be friendly and meet all the people at your school. I made so many mistakes my first year. You just have to laugh at yourself and keep going. Although this is my 7th year I am still nervous and will probably still make mistakes. It seems like everyday we get called to a meeting or there is a schedule change. It takes a lot of flexibility to change around your plans and do something else. 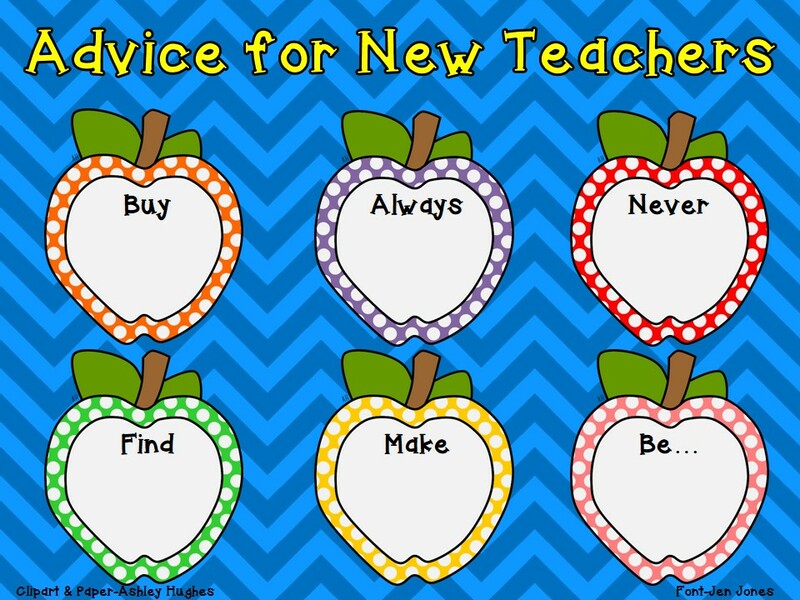 So now it is your turn to give some advice to new teachers. Please visit the posts of others! Working in my Room, New Product, and a FREEBIE!!! As soon as I finish this post, I am going up to my school to work on my room. I have a little over a week before I go back. 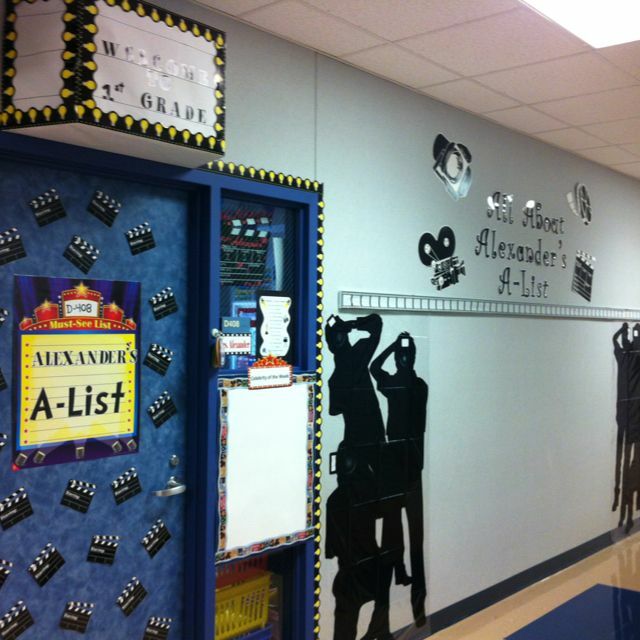 I have been frantically searching the internet and pinterest for new ideas to add to my Hollywood themed classroom. 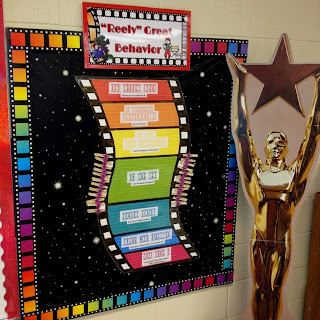 I would like to do some of these things in my classroom. I found these ideas on pinterest or from other teacher blogs. 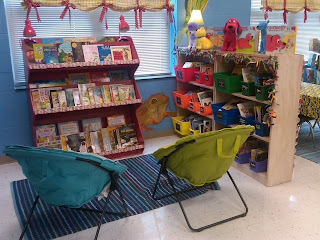 I want some of these chairs but in red like Hope King from Second Grade Shenanigans has in her room. I love this idea from One Happy Teacher . I would love to do this to my desk. I found this display on pinterest. I love the paparazzi cut outs. 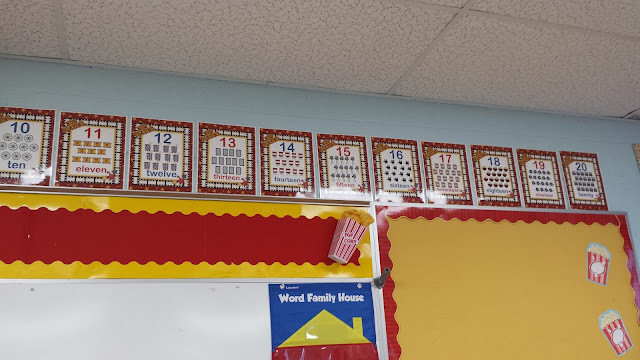 I actually had those last year but did not know where to put them. I think I will make them part of my outside the door display. I am still trying to figure out how I wan to do the entire display. 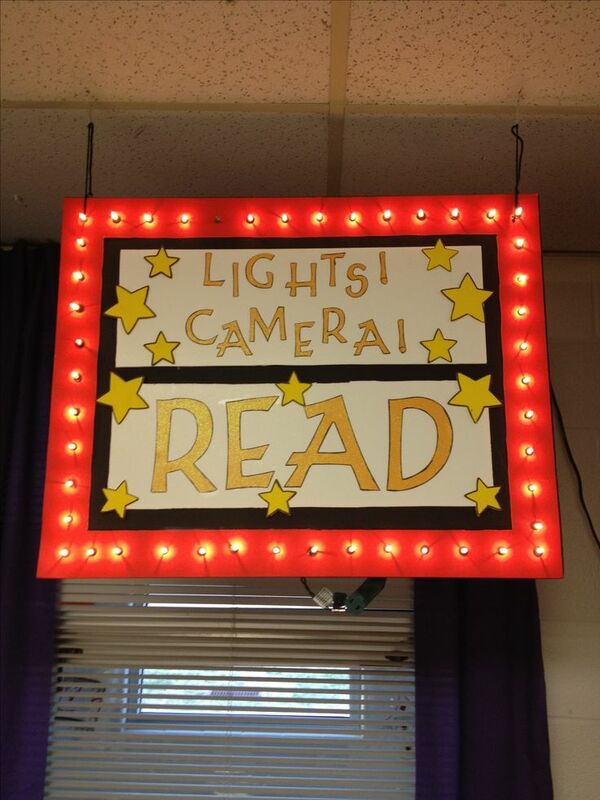 Pinterest find- Homemade Marquee sign. I would love to do this. 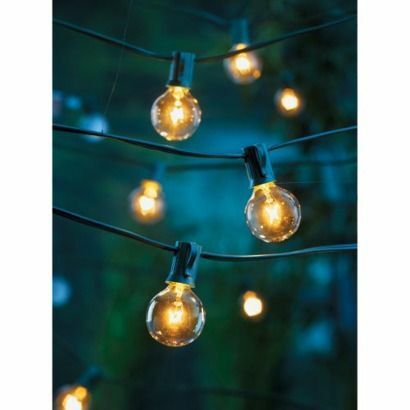 I need to buy these lights from Target. I really want to make a Bravo Board like I found over at Building a House of Love . 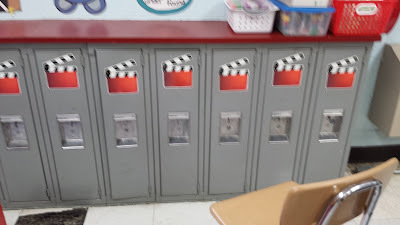 I will take before and after pictures in my classroom and share on here. 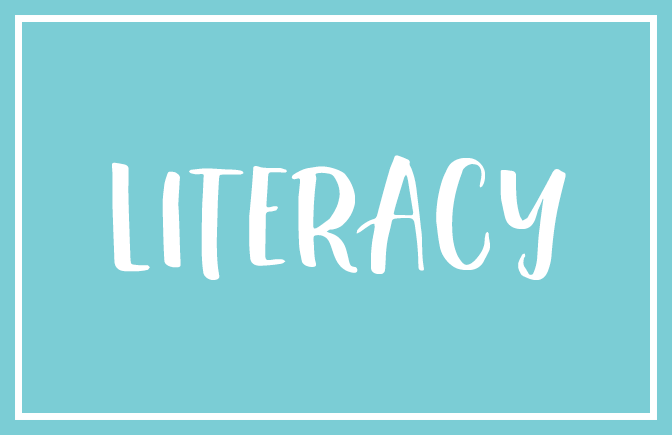 Click here to get this FREEBIE in my TPT store!!! New Packs and a FREEBIE!!! 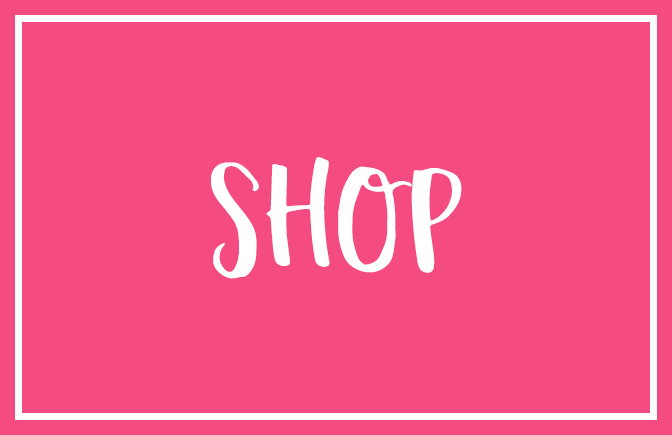 Fourth of July Sale Linky!! !